Venom Fest 2017 will take place at Le Ferrailleur in Nantes, France on April 7-8, 2017. 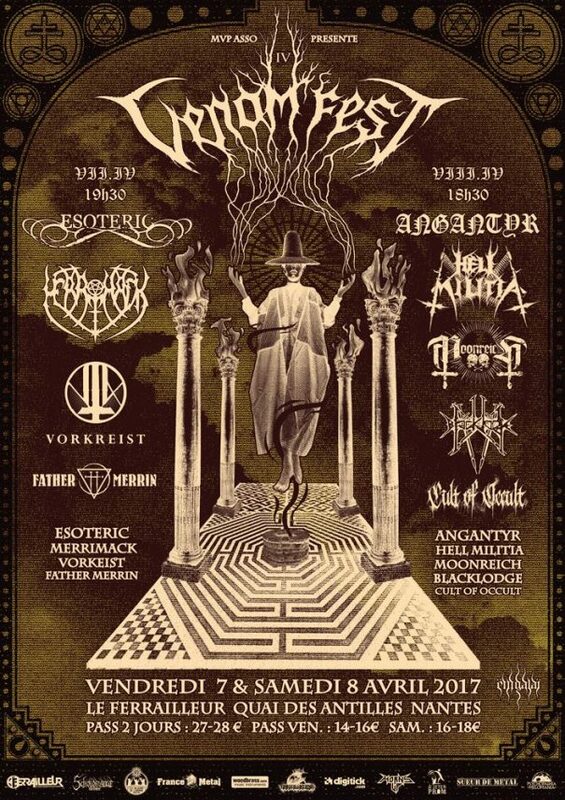 Angantyr, Esoteric and Hell Militia are among the bands that will perform at Venom Fest 2017 festival. Fall of Summer 2016 will take place at Torcy lake, 30 kilometers east of Paris, France on September 2-3, 2016. Shining, Unleashed and Exciter are among the bands that will perform at Fall of Summer 2016 festival.